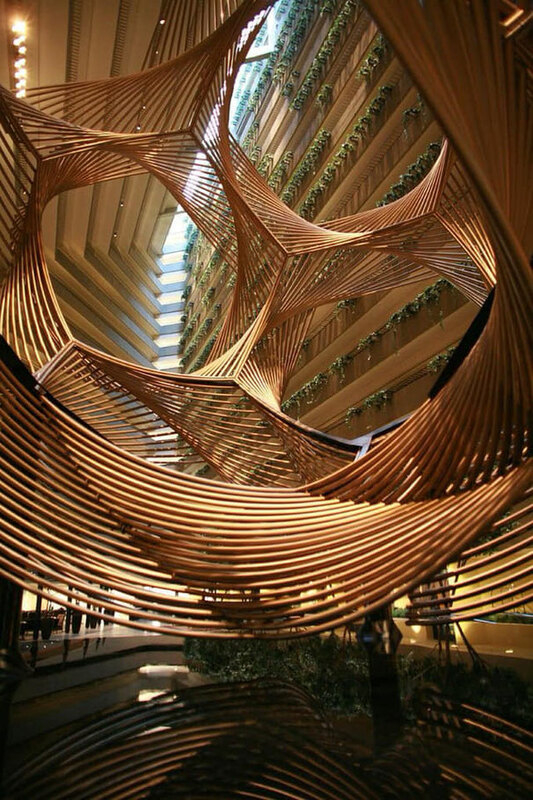 Charles O. Perry sculpted this piece, titled "Eclipse," for the Hyatt Regency at Embarcadero in San Francisco in 1973. His large scale and monumental sculptures celebrate and question the laws of nature. Believing that sculpture must stand on its own merit without need of explanation, Perry's work has an elegance of form that masks the mathematical and scientific complexity of its genesis.